Thanks for visiting us! We want to welcome you, and invite you to learn a little more about Who We Are. We are a community of Believers. 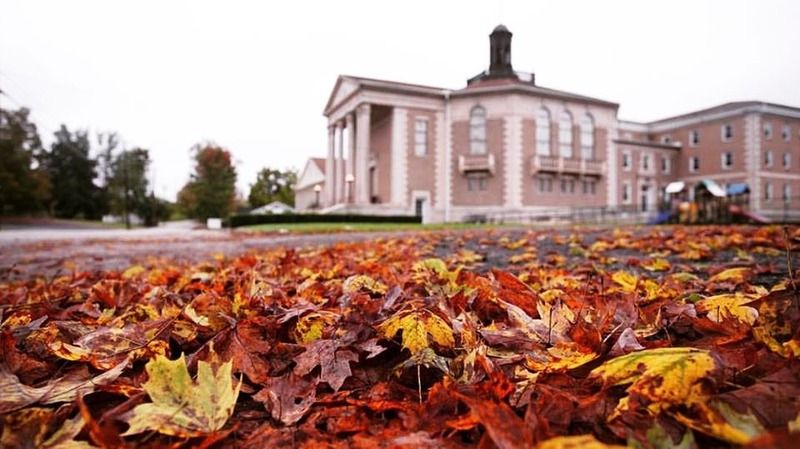 First Baptist is nestled in Williamsburg, KY which is near Appalachia, the Cumberland Falls, and only a stone’s throw from University of the Cumberlands. At FBC we are diverse. From suits to shorts. From flip flops to heels. From young to older. From sitting up top to sitting on the bottom. From sitting left, center, right. We are democrats and republicans. We are hunters and vegetarians. From a worship style that is conservative to contemporary, or as you kids may say old school and new school. We are imperfect, walkers, runners, hikers, aerobics. At UC, we are professors, administrators, coaches, presidents. We are doctors, lawyers, dentists, gardeners, teachers, track coaches and smooth talking salesmen. You will find us at the grocery store, W. D. Bryant’s, the post office, the pharmacy, getting gas, football games. We are Williamsburg Jackets, Whitley Colonels, Wildcats, Patriots, Hilltoppers, EKU Colonels, and Vols. We are fans of all kinds. We love our sports. We are pianos, organs, solos, and now a worship team and a choir with big voices. We are potlucks, Wednesday nights, baptisms, Lord’s suppers. We are missions – overseas and across the street. We have an opportunity for you to serve. We have a strong leader. He’s the best preacher around. No pressure, Ande. A community is diverse; but there is a common thread which brings us together: What We Believe. We are sharing the Gospel. We are praying that our neighbors will know the Gospel. The Gospel is what drives us to teach our children and youth. It drives us to serve. It drives us to sing praise. Dress as you like. Bring your family. Visit a worship service, a Bible Study or serve with us. Our weekly schedule includes both Sunday and Wednesday activities. We are looking forward to getting to know you and invite you to get connected.